Several decades ago, it was standard practice to keep patients in the hospital for days, or even weeks after the most routine procedures. For patients with chronic conditions the situation was even worse, often involving frequent, long stays in the hospital. Thanks to advances in home health care, older Americans now have the choice to age at home, while receiving quality health care. Most home care for older adults is paid for through Medicare, which covered nearly 3.5 million people last year. This makes it all the more important that the Medicare home health benefit be strengthened – to promote quality, accessibility, and cost effectiveness. Regrettably, a new proposal does just the opposite. Recent regulations issued by the Centers for Medicare & Medicaid Services, which propose a new home health payment system, are alarming. The proposed payment system, known as the Home Health Groupings Model, would radically disrupt the home health care landscape. HHGM and associated payments would discriminate against patients with chronic conditions, threaten access care in rural and undeserved areas, and cut hundreds of millions of dollars from the Medicare home health program. Proposed to roll out as early as 2019, the HHGM is an untested model that would have significant, wide-ranging effects on access to home care for the most vulnerable older and disabled Medicare beneficiaries. Among its many provisions, HHGM would cut the standard episode of care from 30 to 60 days, which will favor beneficiaries who have the ability to recover quickly, while diminishing access for people who are clinically complex and have longer term, chronic illnesses and impairments. The HHGM discriminates against those living with chronic conditions – who typically need care for longer periods of time – by assigning lower payment weights for cases with longer lengths of stay. Thus, those with the greatest need would be assigned the fewest resources, despite the fact that these are the very people who need the most intensive care. Further, beneficiaries who require care for longer than 30 days and have not been admitted to home care from a hospital or other institution will find it harder to obtain, and retain, home care. Payment under the proposed rule would be lower for this population. 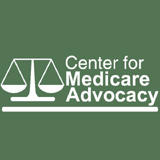 Finally, it is unclear that the proposed payment rules are lawful as they conflict with Medicare coverage rules, which define the scope of the Medicare home health benefit. They also conflict with the settlement in Jimmo v. Sebelius, which reiterates that Medicare can cover long-term home care for people who need skilled care to maintain or slow deterioration of their conditions. Fortunately, the administration still has an opportunity to change course before this harm occurs. CMS should pull the proposed payment rule and work with beneficiaries, advocates, providers and other stakeholders to develop a payment model that protects the integrity of the Medicare home health benefit – and ensures access to home care for all who qualify, including people with chronic conditions. The health and welfare of millions of older and disabled people are at stake. Medicare: Es El Momento Para Renovar y No Retroceder! Si, Medicare importa! Abrio sus puertas al cuidado medico al proporcionar cobertura que el mercado privado no querria ofrecer. Hoy dia 55 millones de personas viejas y personas incapacidadas disfrutan de atencion medica gracias a Medicare. El programa alivia familias de preocupacion y mejora la calidad de sus vidas, su tranquilidad, salud y seguridad economica. Sin embargo, en 2017 todo esto esta a riesgo. Tenemos que mantener Medicare al dia, con salud oral, audiologia y cobertura de vision. Deberiamos pagar solamante el mejor precio por medicamentos de receta, y poner fin al derrame de los dolares de Medicare a las ganacias de las companias de seguros. Medicare tiene que quedar vital y relevante. Pero esto solamente puede ocurrir si Medicare se renueva y no se retrocede de su promesa. Desafortunadamente, muchas de las personas entrando en ls escena nacional que van a establecer nuevas politicas estan dedicadas a convertir Medicare de un programa de beneficios definidos a un programa de contribuciones definidas que ayudaria a pagar por primas de seguros individuales y privadas. Este resultado seria el fin de Medicare tal como lo conocemos, con sus multiples objectivos de proporcionar cubertura de la mas alta calidad y con los precios mas justos. En cambio, cada persona recibiria un comprobante en la forma de un pago parcial para buscar y comprar un seguro medico en el mercado privado. Por mas de 50 anos Medicare ha servido las nececidades de familias individuales y al mismo tiempo el programa ha ayudado a unir nuestra familia nacional. Las informaciones aqui incluidas, comentarios y historias veridicas demuestran lo que esta al riesgo si deshacemos este tesoro nacional- y como podemos renovarlo por las generaciones por venir.